"China has begun replacing the workers in its ammunition factories with robots... The move will reduce the number of accidents suffered by human workers, and has already increased the production of ammunition in the country." 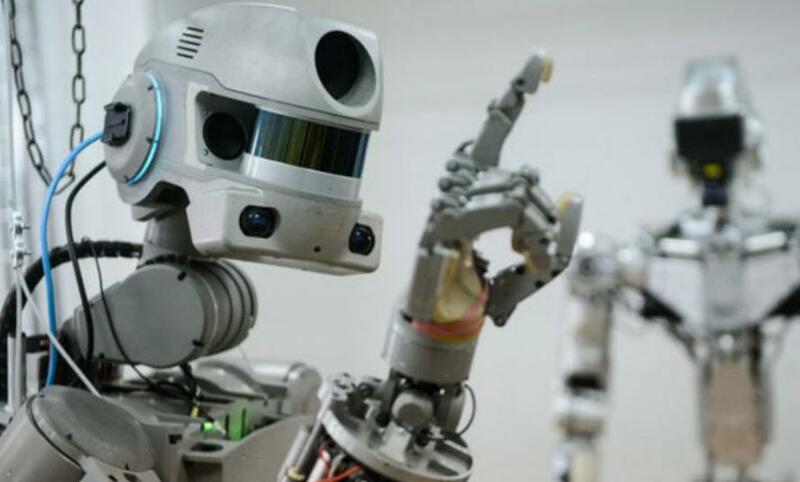 China is one country leading the charge when it comes to embracing robotics and artificial intelligence. Last year, the country saw the first robot dentist successfully operate on a patient, and there are plans to build an unmanned, AI-powered police station in a capital city. Both developments show signs of China’s progress to becoming a global leader in AI by 2030. To be a leader in AI, however, also means using such technology in the workforce as a replacement for human workers. Recently, China has done so in using automation to increase its supply of bombs and artillery shells. Speaking with the South China Morning Post (SCMP), Xu Zhigang, a researcher with the Chinese Academy of Sciences’ Shenyang Institute of Automation, said that nearly 25 percent of China’s ammunition factories have had their human workers replaced with “smart machines.” Interestingly enough, China didn’t turn to AI simply because it wants to lead AI adoption. It was instead because the factories were lacking in people who actually wanted to work in such dangerous environments. “However high the salary offered, young people are simply not interested in working in an army ammunition plant nowadays,” said Xu. No one can really fault them for being wary of the job, though. According to SCMP, citing “research papers published in Chinese academic journals,” a significant number of accidents have occurred in recent years, with some leading to injured workers or even death. So great were safety concerns that the 20-30 factories constructed over the last 60 years are in remote locations, or areas with much lower populations. Even before the accidents were a factor, however, workers were exposed to harmful chemicals while assembling ammunition, requiring them to wear masks and gloves. Needless to say, it’s not the most inviting job, and one that’s likely better suited for automation. Despite the AI’s improvements to safety, it’s fair to have concerns about their inclusion in the ammunition making process. Though Xu noted that China’s was not in a situation where it was “gearing up for a war and filling its armouries at breakneck speed,” the country’s new production abilities could spur other countries to produce weaponry at a greater pace, or encourage them to speed up development on their own AI projects out of fear of being outmatched. Russia, for example, is reportedly building an AI-controlled missile, and has plans to add autonomy to its land and aerial vehicles. The U.S., meanwhile, wants to use AI to boost its intelligence gathering capabilities, and successfully tested an autonomous F-16 last April.